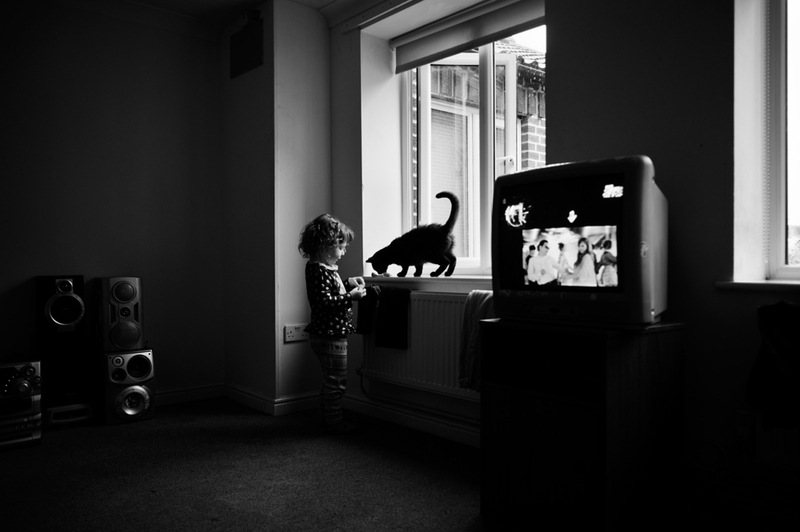 I’d been working on a story for Small Town Inertia dealing with young families and social housing. After a couple of visits, getting to know the family, as often happens, they were suddenly moved and contact unfortunately lost. 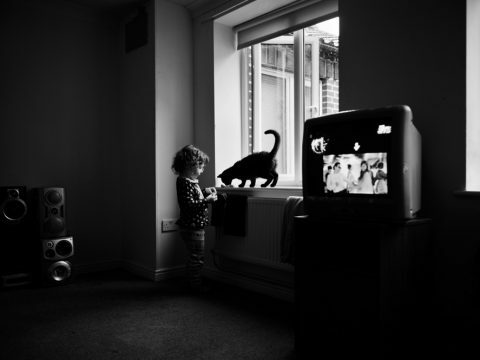 This photograph, of the families young daughter feeding a stray cat, really stayed with me, these two young lives looking after one another, whilst both displaced, searching for a place to call home.